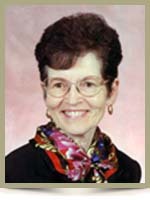 Rowter, Ora Alberta “Bertie” , it is with great sadness that the family of Bertie Rowter, 78, of Maitland Bridge, Annapolis County, Nova Scotia, announce her passing peacefully on Saturday, February 11th, 2012, in the South Shore Regional Hospital, Bridgewater. Bertie was born on June 7th, 1933, in Inglisville, Annapolis County, Nova Scotia, was the eldest child of the late Donald and Adelaide “Marie” (McGill) Rideout. Bertie moved to Maitland Bridge as a teenager where she worked in Alton Demmon’s General Store. It was there she met Allen Rowter and they married in 1951. She was devoted to this community and to the Church for all these years. Bertie’s beautiful gardens were a testament to the tender loving care she gave them and her sewing skills were known for it’s fine finished product. Bertie was predeceased by her beloved husband of almost 50 years, Allen in 2001. Also predeceasing her were her brothers Donald in infancy and Robie Rideout (Billerica, Massachusetts, USA), sister Eva Webb (Bedford) and brother-in-law “Tim” Arnold Rowter (Maitland Bridge). She will be deeply missed by her surviving family, son Daniel and Bev (Veinot) of Conquerall Mills, grandson Nicholas Rowter and Kristy Fraser of Sherwood Park, Alberta, granddaughter Natalie Rowter-Baird and Michael, of Bedford, granddaughter Alissa Rowter of Bedford, and two great-grandsons, Kalen and Micah Rowter of Sherwood Park Alberta. She is also survived by her sister Una Truscott and Ray of Fort Saskatchewan, Alberta, sister-in-law Althea Rowter of Maitland Bridge, brother-in-law Dale Webb of Bedford, sister-in-law Sandi Rideout of Billerica, Massachusetts, USA, and seven nieces, nephews and their families. She had many wonderful and dear friends whom she leaves behind. My thoughts and prayers and sympathy are with you all during this very sad time.Bertie was a wonderful friend and neighbour, and we have really missed her and her great sense of humor in this community, when she found it necessary to relocate to Bridgewater. God bless you for your loving care. Very saddened to hear of Berties’ passing.She was a wonderfully proud lady.I always enjoyed talking with her,and marveled in the manner in which she kept her gardens.She always had a kind word and some great anecdotes about her life in Maitland Bridge.Going to miss that warm smile,twinkle in the eye and gracefull manner. We are sorry to hear of Bertie’s passing. She was always so happy to stop for a chat. I certainly will always remember her impecable sense of style and how well co-ordinated she was when ever she was out and about. She will be missed in our community. I am so sorry to learn of your mother’s passing. She truly was a very special lady.. She will be fondly remembered by all who knew her. Please accept our heartfelt condolences. Although we knew Bertie was in failing health, it’s hard to believe that her vibrant personality and generous heart have left us. Our friendship goes back a long way and Bertie[and Allan] were always so interested in our travels and so welcoming when we came back home. Bertie always had a warm hug and delectable sweets when we visited her and it was hard to believe that such a tiny lady had such a sweet tooth. Her life was her family and she was so proud of each and every one of you. Cherish your wonderful memories. So sorry to hear the sad news! Bertie was such a wonderful and kind lady. She loved to chat and always enjoyed visits with us. So glad that our wedding pictures were taken in her immaculate gardens. They were her pride and joy! We will always have great memories of her! She will be missed! I was shocked to hear the passing of your mother even though I knew she wasn’t well. Bertie was such a wonderful lady and neighbor. She was always out working in her beautiful garden when she had the chance and when we would come home, I would always try to get over for a visit. We could chat for hours. She made my wedding dress also and was a great seamstress. She loved her grandchildren very much. Our prayers and thoughts are with you all and keep the memories of her alive. She will be truly missed!!! So sorry to hear of Bertie’s passing. Such a beautiful lady. We had many wonderful conversations and laughs. She will be missed by so many. She touched the hearts of everyone she met. So sorry to hear of Bertie’s passing, she was a wonderful lady – always smiling with only kind words to say. We send our condolences to you and your family at this difficult time. Bertie was many things to many people – a wife, mother, friend & confidante, but to me she will always be my Nannie. In whatever capacity, we knew her to be warm, loving, energetic, caring and kind. These common threads were woven from strands of service to others before self. One thing we all knew about Nannie was her artistic & creative talent to produce anything and turn it into beauty. This professed itself namely in her sewing talents, decorating abilities and of course her gardens that were truly a masterpiece in and of themselves. Nannie herself was a beautiful person; always dressed in the brightest colors, which reflected her cheerful and sunny disposition. In fact, some of my fondest memories are thinking of her in her brightly colored outfits. She truly had her own sense of style that I will always admire her for. My final thoughts which I would like to share with you all was Nannie’s pride for her family and this was the most beautiful aspect of her existence. To be trusted by God with raising children is without doubt one of life’s greatest adventures, and can quite often be the measure of one’s own success. Through their dedication & determination, Allen & Bertie have truly achieved this goal they have raised a fine, confident, mature & dedicated son. Nannie & Bampa were so proud of Dad & Mom, my brother & sister and myself and Kalen & Mikah. Her love was unconditional and we will always love her. We will miss Bertie so much. She was part of our introduction to Maitland and were instantly great friends. We have many fond memories that go back over the past decade. We had a great “flower connection” and loved to swap garden stories. She had many talents and she will be missed in the community. She was so proud of her family and we hope that will bring comfort at this difficult time. Our deepest sympathies. Danny,Bev and Family,Sorry to hear of Berties passing,i didnt know her personally,but always found her with a smile on her face.Arthur worked with your Father on the Park for many years, thats how i got to know your mom. She will be missed. I have nothing but fond memories of my Aunt Bertie. Spending a week in the summer at her farm was an absolute delight to this young city boy. Home cooking on a wood stove tasted wonderful and seemed so exotic. (Even when she asked me to split and carry in the fuel for it.) I have yet to experience again bread as fresh and aromatic. And watching television on plastic-covered furniture was such a treat. But, oh my; I did not like to go into that spooky basement. Still, I always felt safe at my Aunt Bertie’s and loved to be with her. When she traveled to her namesake province to attend my wedding it made all the more special – and stylish. She will always have a place in my heart alongside my Uncle Allen, Aunt Evie, and Uncle Robie. It was our pleasue to meet Bertie Rowter in the Northwest Territories when she an Alan visited Dan and Bev. She was a delightful person and one who made you feel you had known her all your life. We had a chance to visit her in Maitland Bridge, at her home, after Alan passed away. It was a joy to renew our earlier meeting. We extend our condolences to Dan, Bev and all family members, and regret we will be out of Canada until early April and will be unable to attend visitation or funeral. Our thoughts and prayers will be with the family !!!! She was a dear lady whom we know will be sadly missed. i was so sorry to hear of your loss and share your pain. When I think of Birdie, I will always remember her smile,and her sunny personality.Her family,friends,church and community will surely miss her. Our Sincere Sympathy to you all in the loss of Bertie. I know you will all miss her but all the good and wonderful memories will remain with you forever. Among the many great family photos in the video tribute is one that really struck me as especially Bertie. She is standing by a lake — not sure which one, but clearly near home — looking as if she is ready for church on what was probably a picnic in the woods. We can’t see her shoes, but no doubt they matched the handbag. I always remember Aunt Bertie as pretty much perfect like that even back in the day when water for cleaning came from the well and all the roads were dirt. She, like her house, was clean and neat and pretty special. Bertie was my other mother, the aunt I used to get to spend some of the summer with. And, although I do remember her giving Danny hell now and then, I don’t ever recall her scolding me somehow. Losing her now was not unexpected to us, but still hurts. Bertie, Allen and that old house were a big part of my childhood. I’m glad to hear she’ll be resting in Maitland Bridge, because part of me will always be there too. So sorry to read of your loss. I remember meeting Dan’s Mom at the office in Bridgewater – she was a lovely lady. Dear Dan, Bev and family. So sorry to hear about the loss of your mother, mother in law,and grandmother. I will always remember her beautiful gardens as I motored across the province. They were magnificent. They always brought a smile to my face as I knew how much TLC those plants received. She certainly had a green thumb. Cherish the memories and take care of yourselves. Our condolence is sent your way. Our sincere condolences on Bertie’s passing. We remember Bertie as a lovely and caring person who made you feel special. Danny and Bev, so sorry to learn of you Mother’s passing. I just watched the video tribute and it brought back some memories. She was a wonderful woman who always greeted you with a smile and always had postive things to say. She will certainly be missed by everyone who had the pleasure of knowing her.. Our thoughts and prayers are wish you at this time. We are very sorry to learn of your loss. We will be thinking about you at this sad time. I am very sorry to hear of Bertie’s passing,it is so sad that we are now loosing this generation of our family. Thinking of you all. I remember my Grandmother(Freda) always mentioning Bertie’s name when it came to working at community suppers and events.Also, I want to tell how much I appreciated the memory DVD–many familiar sights and loved faces of Maitland Bridge. So sorry to hear of Bertie’s passing. She was indeed a very special lady with many talents and always met you with a big smile. Please accept our Deepest Condolences, our thoughts and prayers are with you all. God Bless. Very sorry to hear of your loss. My Sincerest Condolences to your family at this time. So sorry to learn of Bertie’s passing. She was such a sweet and welcoming person. We are sure that the whole community will miss her. Our thoughts are with you in this time of sorrow.Bertie was a great lady always a joy to speak with.I marvelled at her wonderful gardens and how hard the little lady worked at them.She will be missed as a neighbour and a friend!! We are so sorry to learn of Bertie’s passing. Phil has such fond memories of the wonderful hospitality of both families. His time at Maitland Bridge was the highlight of his start as a surveyor. He learned very important people skills from all of the Rowters which he used throughout his teaching career. He spent many pleasant evenings with Bertie and Allen at their home. He will always remember the kindness and gernerosity of Bertie. Ourt thoughts and prayers are with you. We were saddened to hear of your Mom’s passing. After we talked with you on Sunday past, I thought of Bertie and her many attributes : that of happy, contented wife and homemaker, a wonderful mother, a friend to so many, and a lady with countless gifts and talents. She was blessed in so many ways. We will all miss her, and, hopefully, in time, your hearts will heal as memories of all your good times with her come to the fore. Sending my condolences to you. So sorry to hear about Bertie’s passing. She was a lovely lady who always welcomed me into her home anytime I passed by offering treats, stories and hugs. Bertie will be missed by many. My deepest sympathies to Dan, Bev and all her family. My sincere condolences to you all on behalf of both Aunt Janet and myself. I am so grateful that I did get to see her earlier this month when I was in Nova Scotia. She was a charming lady and I will always remember her smile…it lit up the room! We were sorry to hear about your Mom and can’t be there but our thoughts are with you all.